The Matchstick team announced today that they’re delaying the release of their Firefox OS-powered HDMI dongle until August of this year. You might remember we told you about Matchstick when it landed on Kickstarter four months ago. At the time, the goal was to ship Matchstick to backers in February. Obviously that's not going to happen; but when it does ship, the final revision will feature a few noteworthy upgrades. One is a bump in processor power from a dual-core to a quad-core CPU. The developers say they want to make sure the stick has as much power as they can squeeze in without jacking up the price. That shouldn’t be too hard to manage considering the team set a goal of $100,000 when their Kickstarter campaign started, and managed to raise some $470 thousand. The additional time will also be used to ensure there are no Wi-Fi connectivity issues. Similar products have run into wonky Wi-Fi behavior that seem to stem from the location of most HDMI ports on HDTVs, so the Matchstick team has been spending “considerable time” looking at ways to improve the antenna and maintain consistent connections. On the software side, Matchstick is getting DRM. This is so content providers like Netflix will be on board with the project, although the team is also hoping for community members to get involved. Specifically, they’re looking for developers who specialize in EME, MSE, and CDM technologies. 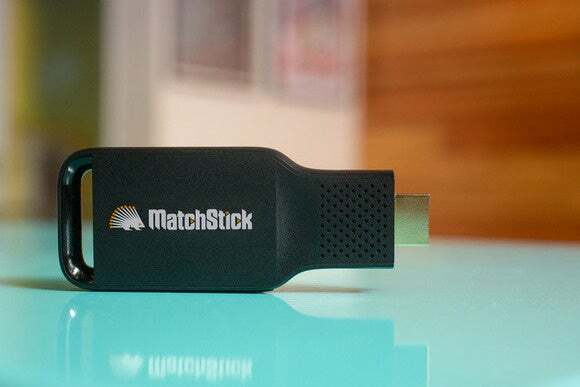 Why this matters: The two things that make Matchstick standout from competing streaming sticks like Chromecast are price and an open platform. Backers will get their Matchsticks at no additional cost, despite the beefier feature set, but the developers haven’t said if the Matchstick’s retail price will go up. Matchstick also runs the risk of scaring away potential buyers if it goes crazy with DRM. Part of the selling point is that Firefox OS is open software, and so the developers need to prove that any DRM going into Matchstick is truly for the greater good, like getting Netflix support.